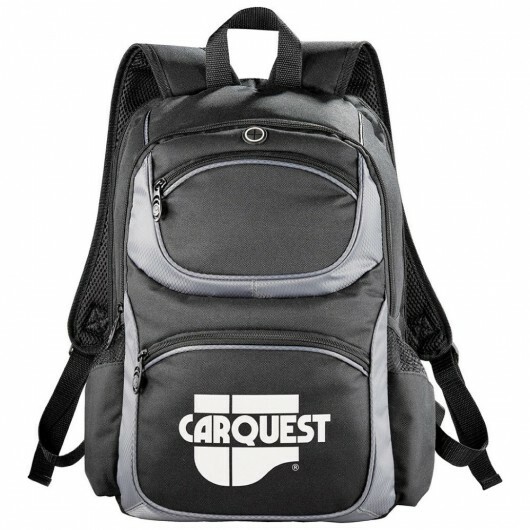 Comfortable, practical and an effective means of representing your logo or emblem. 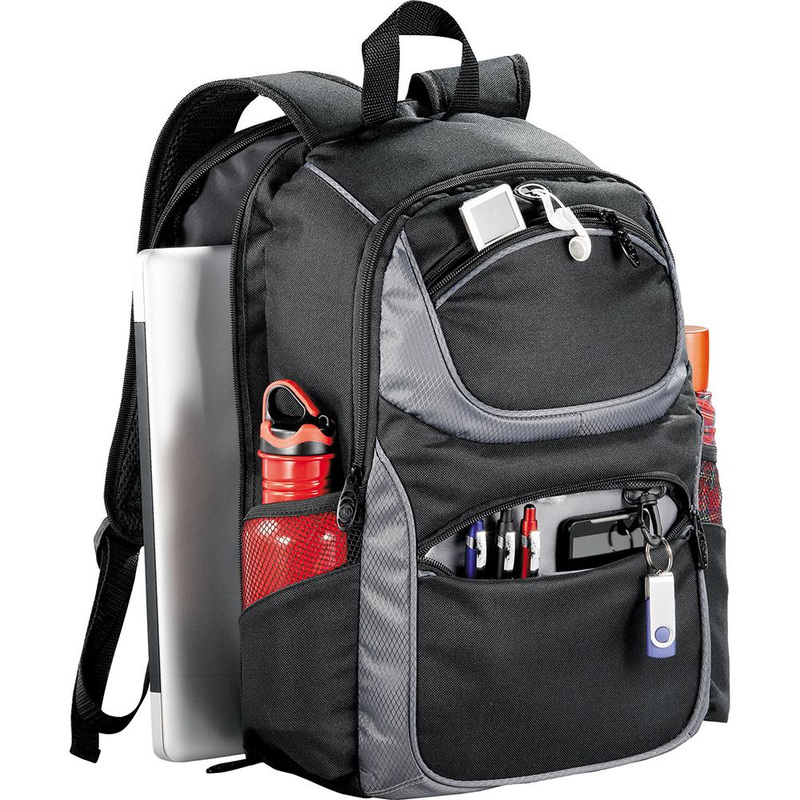 These promotional laptop backpacks are great for school or work. 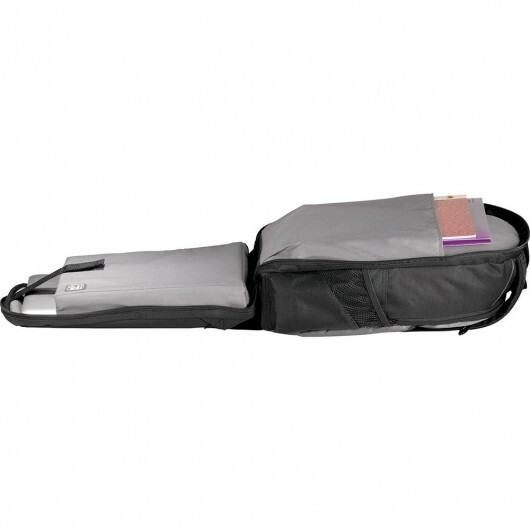 The laptop only section unfolds to lay flat which makes for quick unpacking and convenience at airport security. The backpack will hold most 15" laptops with a zippered main compartment and front pocket that contains a deluxe organisational panel and keyring. 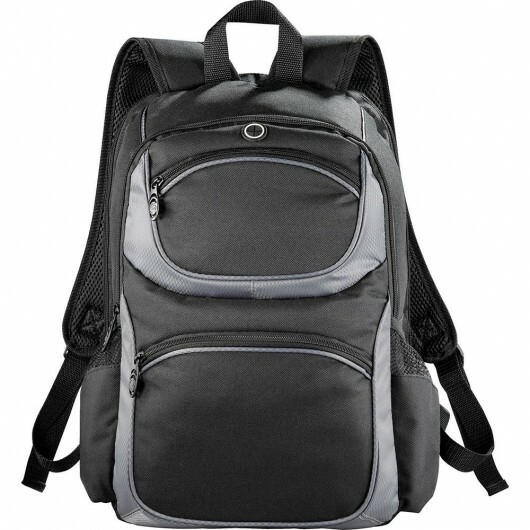 The bag also features a zippered top pocket with organisation and earbud port, side pockets, adjustable padded shoulder straps and carry handle.